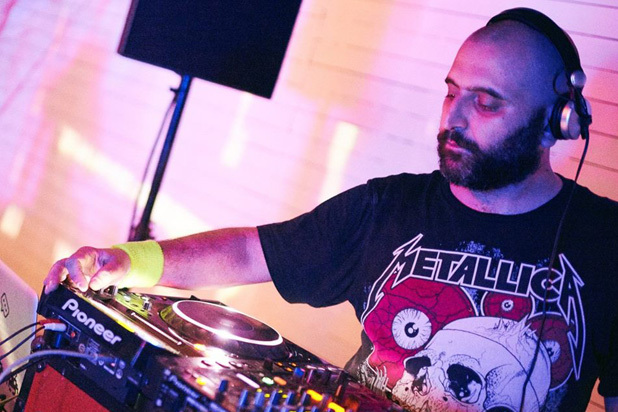 Music Monday treads deep into the darkness, with a preview of Saturday's Halloween tribute show and trax by Zuriaake, Nahash, ChthoniC, Suffocated, and more. Hallows Eve is upon us! With China busily assimilating all of the world's holidays into her already full stack of lantern, dragon, and communist celebrations, we ask an important question: does China really need Halloween? The answer is yes, yes, and a million times over YES. I’m not talking about the Bar Rouge version of Halloween, in which every year the French club resurrects their worst theme ever, "Disney Trash". In the spirit of all things truly wrong in our hearts, I’ve scoured the land for China’s blackest purveyors of Lucifer’s side project sub-genre known as Rock 'n' Roll (which he created right after Irish Riverdance). If you are looking for an alternative to the thousand Captain Obvious Halloween shindigs in Shanghai, then your only choice is the Halloween Tribute Show at Yuyintang. This year the Halloween Tribute showcases Cannibal Corpse performed by the Arcbane, Andrew W.K. performed by Spill Your Guts, Marilyn Manson by Hitobashira, and The Offspring by members of Jackanapes, XXYY, and The Machinery of Other Skeletons. Not sure how event organizer Ivan Belcic didn’t get cast in the roll of Andrew W.K. as I’m pretty sure they are the same person. Instead, Russian singer Dima Bir will take up the role and probably kick out a few teeth of front row patrons in the process. For some back story on the annual tribute show check out this past Music Monday. Merriam Webster’s dictionary defines evil as “morally bad or causing harm to someone”, and lucky for us the following bands from China represent all that and a bag of goat’s blood! Now let’s take the darker less traveled road and check out six bands spreading pestilence and plague throughout our music scene. If your band didn’t make the list then maybe it’s time to head back to Hogwarts, princess. If you want to talk about true black darkness in China in then look no further then the infamous Zuriaake. These atmospheric black metal pagans just dropped a new album titled 孤雁 – Gu Yan on their long–time label Pest Productions. This is not your average CD release. Along with the disc you’ll get a 42 page hardcover art book, 3-meter long poster, black art print, and a leaf specimen all packaged in a box set. What’s a leaf specimen? The dark lord only knows. 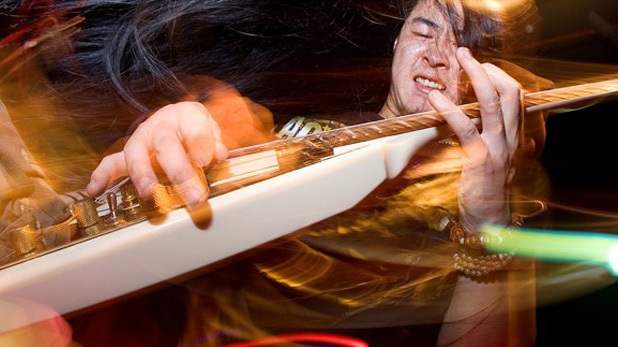 Zuriaake have remained one of the most anonymous bands in China’s metal history. After 15 years of existence, they are finally doing their first tour. You can catch the seminal black metal act for the first time in Shanghai at On Stage on the Sunday Bloody Sabbath of Nov 8. Don’t expect a meet and greet, for the mysterious band dons elaborate costumes forever rendering their appearance a mystery. Theatrics aside, the band is truly on the same level musically as their Scandinavian or American peers. This nail in the coffin that is Gu Yan is a masterpiece in her own right. If you don’t thirst for a cup of goat's blood after listening, then I don’t know what can help you. Nahash is the only expat band that landed on this evil list because despite his French roots, front-man Laura Ingalls is a card carrying member of Satan’s dark army. 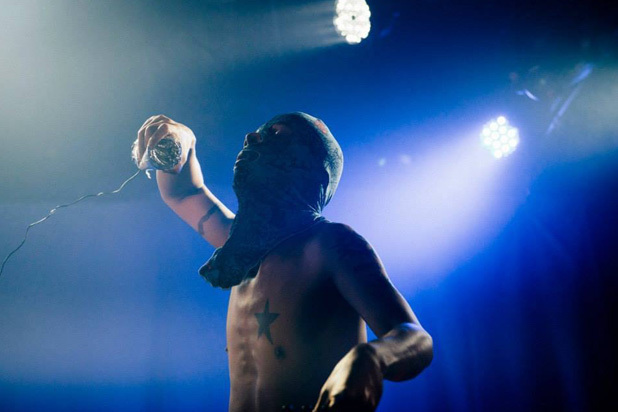 Either in dark underground clubs or on the stage, what mother couldn’t be prouder of that brooding voice on top of that mini-brute synth and snappy bass lines. Nahash also sometimes includes contributors like Halloween cover show organizer Ivan Belcic and visual artist Tina Sprinkles in their productions. When not performing for the big beast down below, Nahash is busy putting out cassettes and digital releases on their label Huashan Records. Despite the recent false metal claims against Nahash due to the many pictures and videos that have surfaced of Laura Ingalls banging out sweet house music jams to Le Baron's party goers, he will always be true darkness to me. Maybe some of you heard about the story about Skinny Puppy suing the American government for 666,000 dollars because their songs were used to torture prisoners in Guantanamo Bay. Well, tunes by Shanghai's own own Torturing Nurse would work just as well in the camp. Next time you’re back home flying down the highway with the Moms, I say pop in a classic T-Nurse cassette into that 1998 Pontiac Grand Am and let the good times roll. Torturing Nurse – "All Bastards"
Another veteran of the Chinese metal kingdom comes in the form of Suffocated. Since 1997 these thrash kings have developed into a world respected outfit, even playing the infamous Wacken festival back in 2012. They incorporate strong elements of early Metallica and Slayer intro their brutal and highly-technical songs. If spreading the message of evil is the quickest way into our dark father's heart, then Suffocated must be well–loved as they have inspired countless Chinese musicians to start their own metal bands. These days, people take notice when Suffocated come out to play, so keep your eyes peeled as the band doesn’t come out of their crypt very often. Suffocated – "Day of Migration"
Voodoo Kungfu represent the rejects of the metal world that don’t fit into the "black", "thrash", or "nu-metal" categories. From 1998 to 2003 the band went by the name Masturbation until changing to Voodoo Kungfu. They are probably one of the most-hated bands in China due to their unconventional approach to metal. The singer Li Nan describes himself as “not a normal Catholic”, and has warped views on religion. Many of the bands lyrics deal with the front-man’s views about god and civilization, which can be a tough sell here. I’m including them in this list because of this cover version of The Eurythmics' "Sweet Dreams". However I think this is actually a cover of Marilyn Manson doing cover of Eurythmics Sweet Dreams. Voodoo Kungfu - "Sweet Dreams"
My final pick to get you in a dark mood is somewhat of a guilty pleasure in the form of Chthonic from Taiwan. 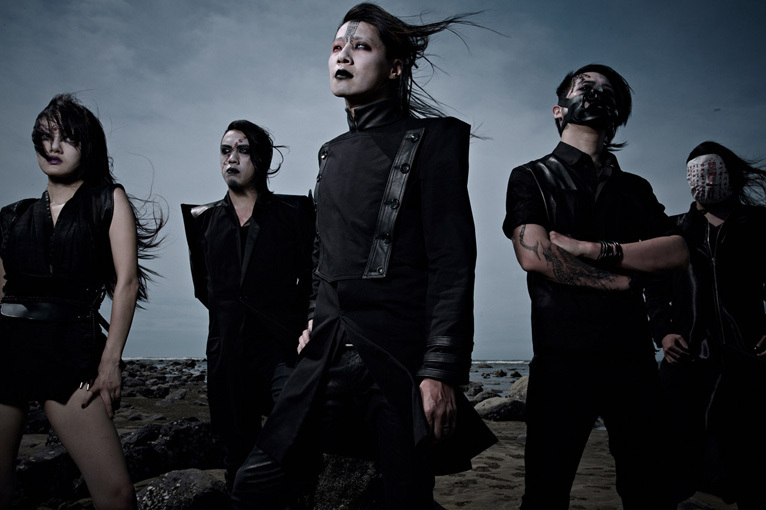 If you're not familiar, Chthonic are a mega-popular symphonic blackened metal band that might be one of the most influential coming out of Asia (next to Baby Metal of course). 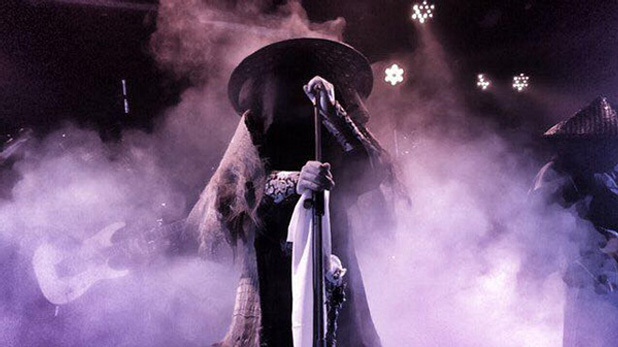 Formed in 1995, the band doesn’t pull any punches when it comes to their on stage theatrics, like corpse paint and incorporation of Chinese vampire themes. Musically, the band is technically solid and they have been produced by people such as Anthrax guitarist Rob Caggiano and worked with bands like Lamb of God, Megadeth, and more. In the early '00s, Chthonic toured with one of my favorite acts, Dark Funeral, across Asia and the US. Now on their 8th studio album, the band continues to lead the way for mainstream success of blackened metal. Doris Yeh from Cthonic is pretty spectacular!